Rarely available South Facing turn key 2 Bedroom at The Grand Ohio! Sun filled living room with brand new hardwood floors with beautiful City views, and plenty of storage; both bedrooms feature brand new carpeting; en suite bathroom and guest bath feature brand new transitional vanity and lighting; kitchen features brand new marble like countertops. Resort style building amenities with fitness center, indoor pool, weight room, tennis court, outdoor & indoor basketball court, racquet ball court, and dog run. Walk to Whole Foods, Michigan Ave, movie theater, restaurants, shopping, and public transportation. Indoor Garage Parking available at $30k. 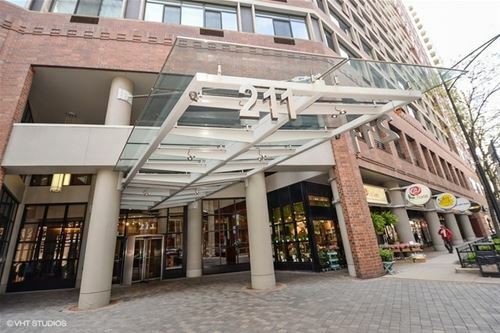 For more information about 211 E Ohio Unit 1818, Chicago, IL 60611 contact Urban Real Estate.